Basically there was a lynx in a zoo that was named Tova and I fell in love with it as a kid. 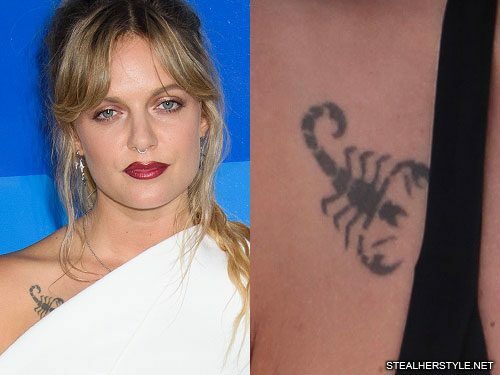 So after that my family and relatives starting calling me Tove Lo. 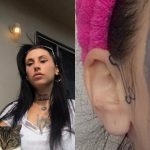 I think I kind of stuck with that name because I wanted it to be me and at the time I didn’t know anyone else who had the same. 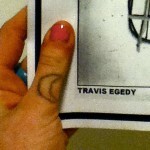 So I kept it as a writer and it then it just felt natural to keep it as a solo artist. It feels like my spirit animal just because it’s been one of my favorite animals since I was so little. 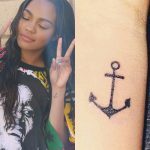 She visted artist Alex McWatt, founder of Three Kings Tattoo in New York City, while on tour with Maroon 5 in September 2016. 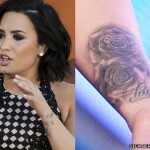 She didn’t think too much about the specific details of the tattoo, but she wanted it on her microphone-holding hand so that it would be very visible. 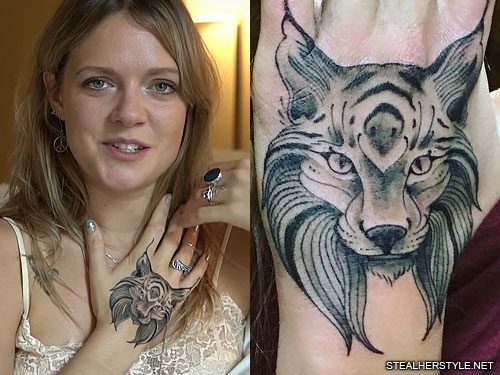 Tove Lo’s third tattoo is this design on her right forearm of a heart with an eye in the middle and flames coming out the top. 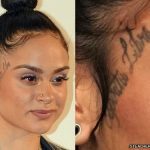 The image comes from the paintings of artist Mark Ryden. 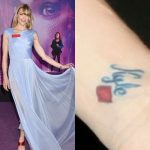 She told Idolator “It’s in a lot of his paintings, but really small. 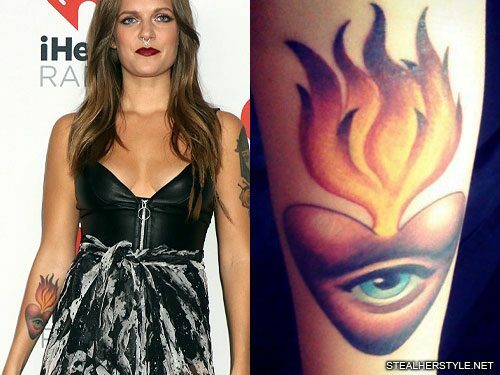 So I wanted to blow it up because I just love the eye so much.” Tove Lo’s tattoo combines details from multiple occurrences of the symbol: the eye in the heart comes from the painting Sophia’s Mercurial Waters while the flames look most like those in Swap Meet Man. 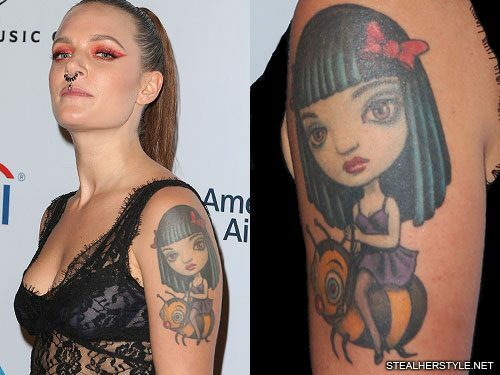 Tove Lo has a large tattoo on her upper left arm of a girl riding a bumblebee from the Mark Ryden painting Clear Hearts, Grey Flowers.